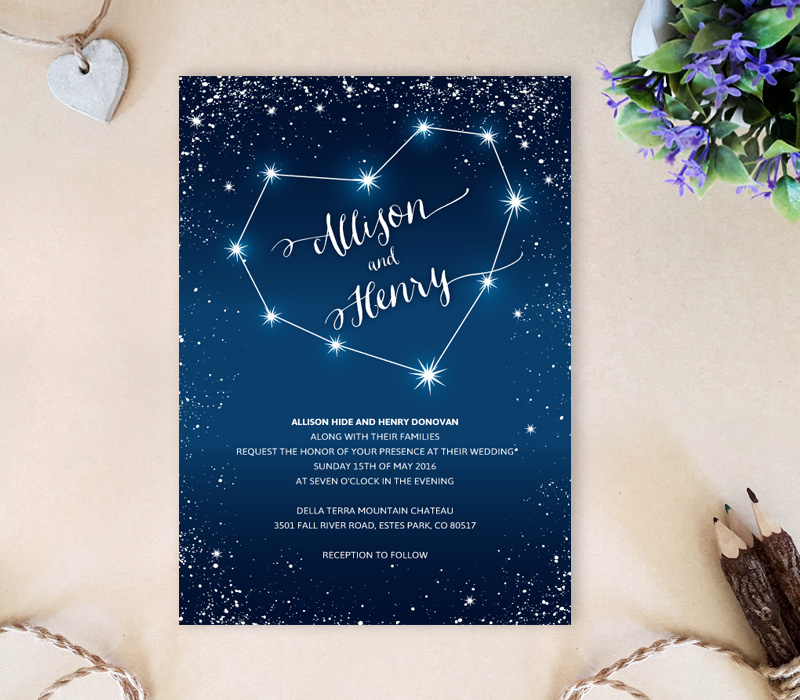 You’re getting married! 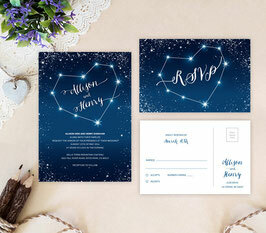 Now share the details of your wedding with our Starry Constellation Wedding Invitations. 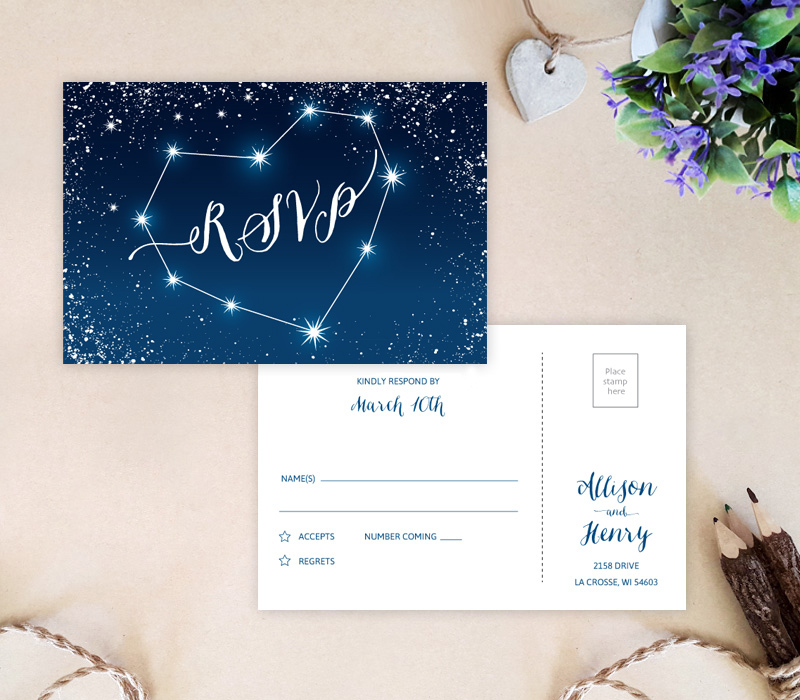 Made for a romantic nighttime wedding, our heart wedding invitations are decorated with sparkling stars, heart constellations and dreamy calligraphy. Our wedding set is printed on premium card stock and includes a stunning wedding invite and R.S.V.P cards.